Help, I'm in desperate need of a hobby. Anyone have any ideas? I used to work two jobs and go to school. Now I got myself a big kid job and have 7 days off every two weeks. Now I have all sorts of extra time and have no idea what to do with myself. I have officially decided I need a hobby. I’m not very artistic and am trying to pay off school loans so don’t have tons of extra money, but I need to do something productive besides sitting on the couch watching tv. HELP! Bicycling, Yoga, Hiking, underwater basket weaving? Volunteer at a hospital, do Bikram yoga. What skills do you admire? Do you like to do things in groups or by yourself? Do you like to do active things or quiet, sedentary things? Do you have freedom of space or are you in cramped quarters where noise is an issue? What are your long-term goals for your career and your life? What is your family and relationship situation? What are your big passions or beliefs about life and the world? Do you prefer working with your hands, dealing with complex ideas, or dealing with people? And, do all police officers work 2 weeks then get a week off because that sounds like a sweet deal. Sweet enough for me to seriously consider joining a force…..
Go to volunteer match and sign up. I would like to hear the answers to @Jeruba‘s questions before making a suggestion! learn how to juggle. 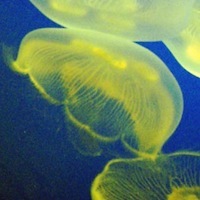 There are a few jellies here who could give you some great tips. And most cops in Florida at least work two days and get two days off, work three days get two days off, work two days and get three days off. Which comes to working 7 of every 14 days. That is with 12hr days, it is quite nice actually. It’s every other weekend (Fri, Sat, Sun) off. 1. Sign up for a class in…ceramics, painting, photography, music, dance, weaving, glassblowing, drawing, graphic design, metal working, welding, math, science, philosophy, political science, law, economics, or history. 2. Take up a sport…tennis, swimming, hiking, surfing, rowing, cycling, yoga, a martial art. 3. Get involved in politics and make it a point to submit well written testimony on bills that interest you. 4. Join a site like Shelfari and read books. 5. Get certified…in CPR, First aid, wilderness medicine, to be a volunteer firefighter or EMT, or to fly or scuba dive. 6. Join a local Scrabble club if you like word games or apply for Mensa membership. 7. Start writing a book, do some cooking, or reflect on where you are and where you’re going in life. I would suggest volunteering for Habitat for Humanity. Aside from how worthwhile it is for the people whose homes you’re building, it gets you outside, you meet new people, and you’re acquiring useful “how to” skills that will serve you well when you own your own home. Take up a sport such as tennis, golf, volleyball or bowling. These are lifelong sports—people participate in them for a long time. It can take several years of consistent playing before you get really good, and that’s okay. Take disaster preparedness classes through the Red Cross. There is a full list of classes, ranging from first aid to logistics. Be a prepared volunteer when disaster strikes. http://volunteer.ca/ volunteering is a hobby. If you want to learn a craft, such as woodworking or such, you can find classes at your local junior college. Make fun of Gandhi on fluther.He frequently cracks me up with his unintentional humour.More of a brief distraction than a hobby but nontheless enjoyable. Join a Venture Crew or Boy Scout Troop…your law enforcement background and living in big sky land would be a perfect skill set to share with impressionable kids and for me personally is some of the best use of my free time I could imagine! I’m into long-range target shooting, but that may be too job-related to appeal as a hobby to you. I’m also into cross country skiing and tinkering with old motorcycles. I used to do volunteer security/transportation work at a shelter for battered women, again, this may be too much like your job to be a hobby. 7 days off every two weeks? I want your job! Find a hobby which can make you money as well…since you mentioned that you have outstanding student loans. Learn it well enough that you enjoy doing whatever you end up doing and people will look you up and pay good money. Photography can lead to gigs at weddings, sweet sixteen parties, bar/bat mitzvahs, etc. Join a gun club…with your background, you may be able to give advise to some of the other members. Nothing like video games to keep the mind and the reflexes sharp :) Maybe you should go to school for something that you enjoy. I wish I had all sorts of time like that! for one thing, you can learn to be artistic. @ninjacolin – That’s wonderful advice, especially ethics. And to @misterx – I’d also like to suggest becoming well versed in the ideology of freedom: Learn the Constitution by heart, especially the Bill of Rights. Study the Federalist papers. Read and understand the Declaration of Independence and what “life, liberty, and the pursuit of happiness” fully implies. Collect stamps! No one does that anymore. Learn to drive a motobike? @Drawkward…hardly anyone uses Postage Stamps worth collecting anymore. . .
People now just send electronic messages. If you get a letter or card in the mail, most likely they’re sent with postage meter labels. Any free ringtones out there? Do A Line haircuts look good messy? What's your favorite activity to do when you're intoxicated?